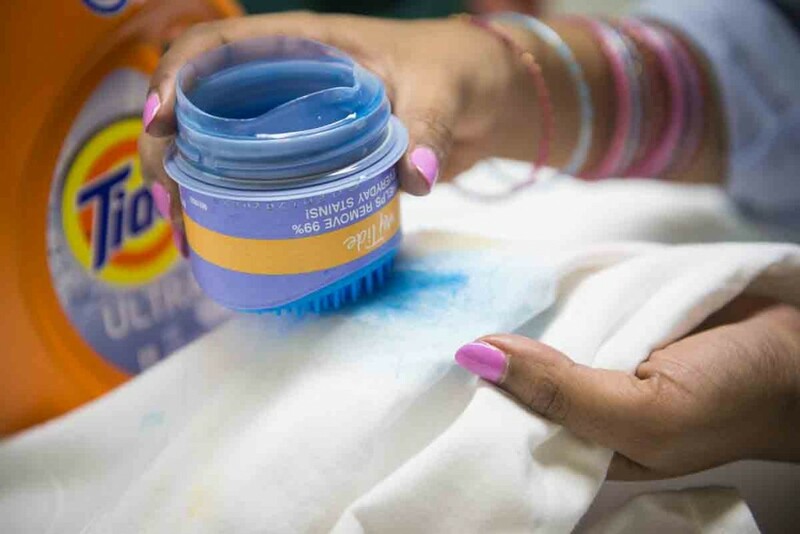 National Laundry Day – Yes It’s a Thing. 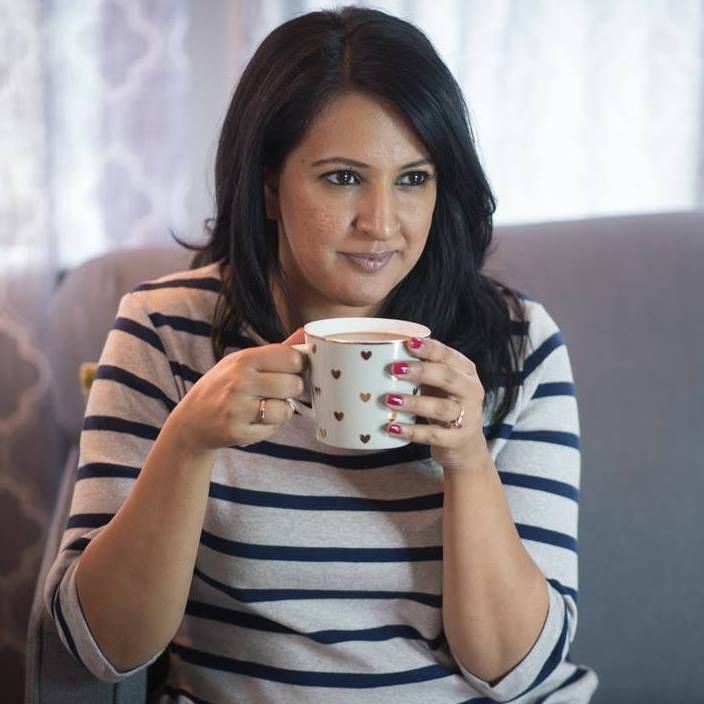 Disclosure: I am a P&G mom ambassador. As part of my affiliation with this group I receive products and have been compensated to put Tide to the stain test. The opinions on this blog are my own. A day devoted to laundry – seems a bit strange since almost every day is laundry day for moms right? Believe it or not, today is National Laundry Day. 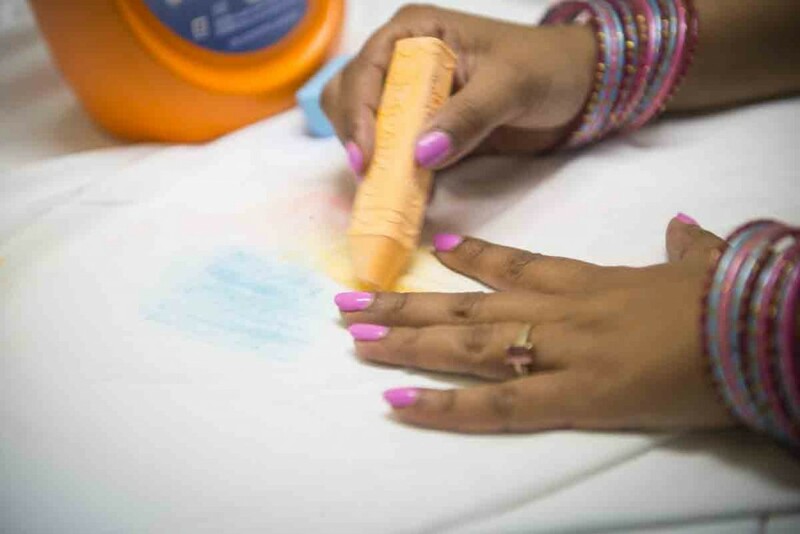 I’m not sure if we are supposed to celebrate all the loads of laundry we get to do, or take a day off from washing, but I thought it would be the perfect day to share a stain challenge the kids and I took on a few days ago. Recently the folks at Tide asked me if I would test out Tide Ultra Stain Release, and I was game. After all, we’ve been using Tide pods for ever, and our kids are pretty good at getting dirty. 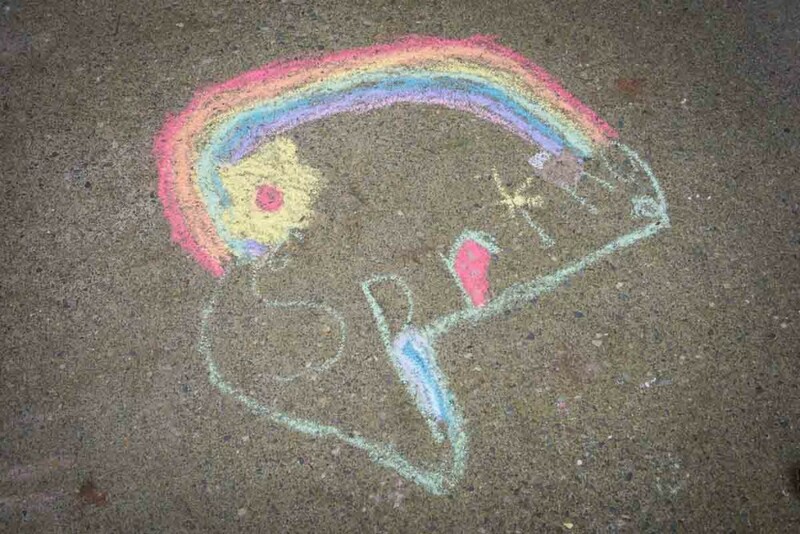 We’ll be taking on three stain challenges in total this Spring, the first of which was sidewalk chalk. We are no strangers to arts and crafts related stains at the Pink Chai house. I can’t even begin to count how many tee shirts we’ve lost to chalk, glue, and glitter, so this was the challenge for us. 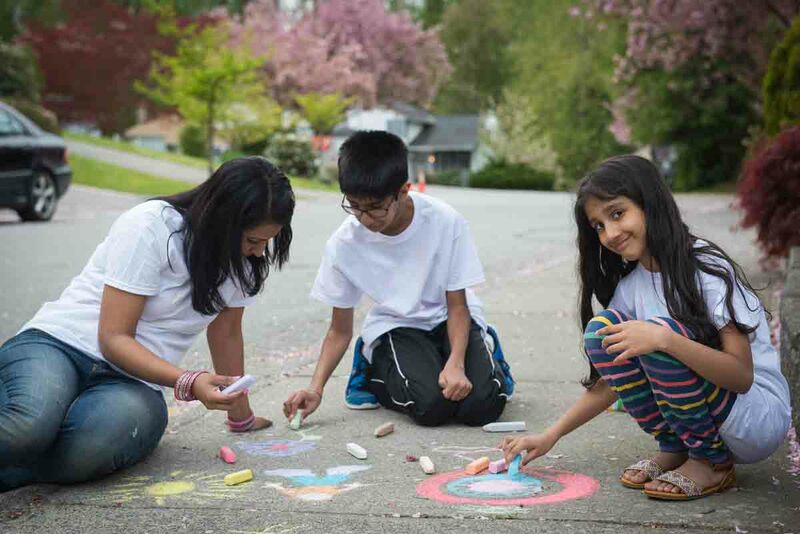 The kids and I put on our white tee shirts and headed out to draw on our sidewalk. This is one of our favourite things to do in the spring and summer, and we get really into creating super detailed drawings. When we were all done with the play portion of the challenge, I brought the tee-shirts into the laundry room. 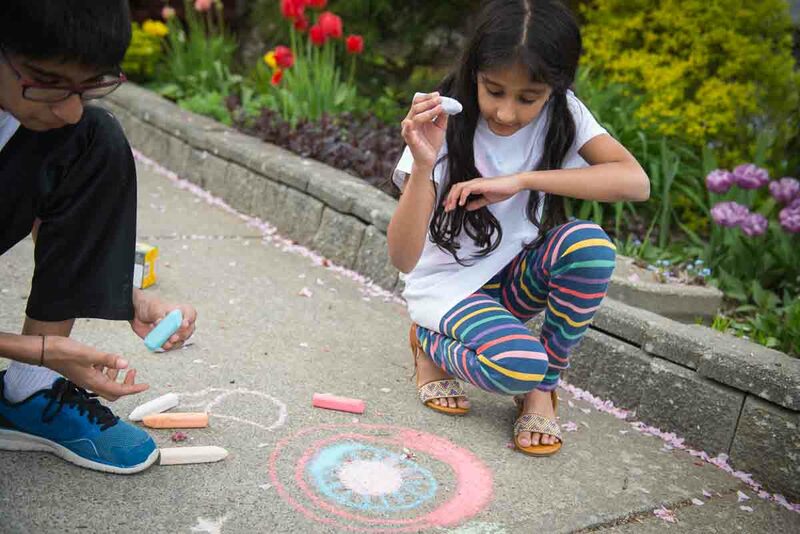 I wasn’t convinced that we had got them dirty enough to test the stain fighting power of Tide Ultra Stain Release so I gave them a good rub with chalk. 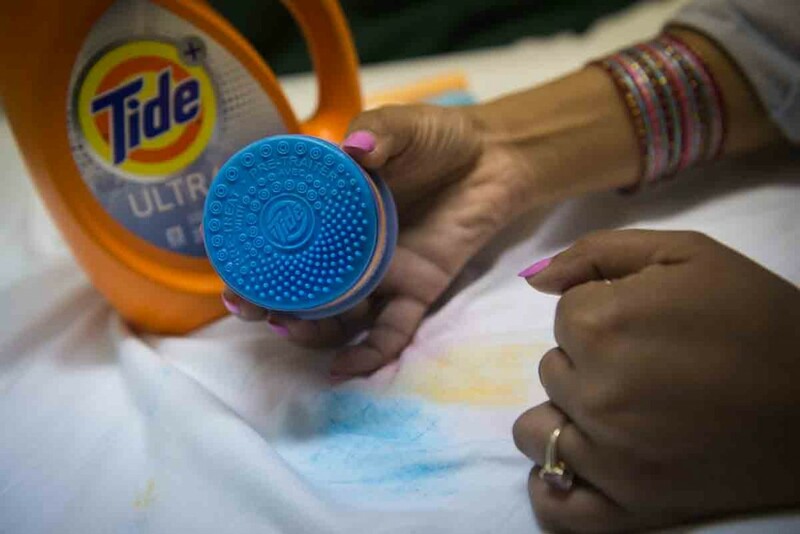 Tide removes over 100 stains in the wash, but if you are worried about an extra stubborn stain, you can use the Zap! cap to pre-treat and remove stains. So what was the verdict of the stain challenge? Not a stain in sight! 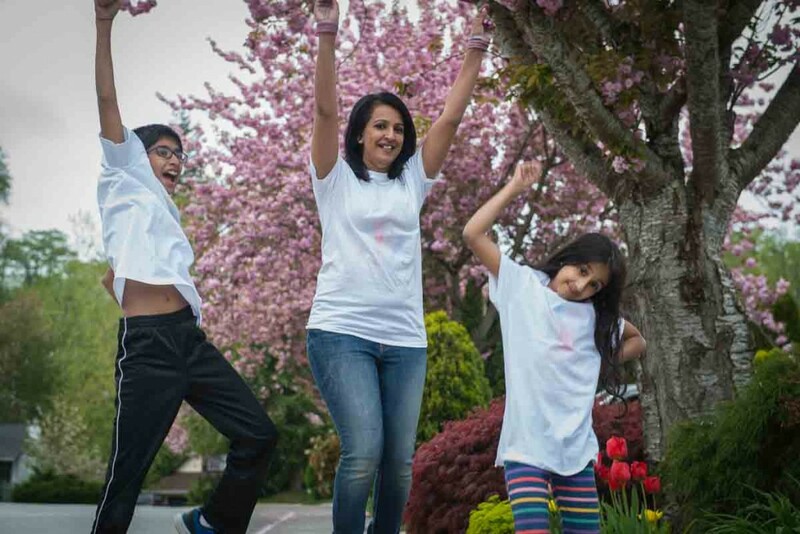 Even after I purposely rubbed extra orange and red sidewalk chalk into our tee shirts, they came out perfectly white. That’s something to get excited about. I’d love for you to put Tide Ultra Stain Release to the test and tell me what you think, so I’m giving away a P&G Fabric Care gift basket including Tide. All you have to do to enter is leave a comment below telling me about your toughest stain challenge. **UPDATE – CONTEST NOW CLOSED ** The winner of this contest is Marilyn Rowe. Every year we make grape juice from the vines that grow up against my dad’s house! Concord Grape Juice is a crazy stain to deal with! I think the toughest stain that I have tackled is red wine not easy to get out but with Tide it did come out. Toughest stain challenge around here is pasta sauce. The kids get it all over themselves. my toughest stain challenge so far is red wine on white clothes. so hard to get out. I am in LOVE with that scrubber thing!! And your kids are so cute lol. My worst stain challenges are my husband’s clothes, he works construction and somehow dirt, grime and grease ends up on his everyday clothes too! I’d love to try and tackle them with Tide. I love my Tide. Out of everything I have tried it works the best. I have very hard well water and I find it takes the stains out from working on the farm the best! Not an easy task. I’m a mom of very active boys so I find grass stains to be my toughest stain. The knees of their pants are especially bad! Grass stains from sports and playing outside are my toughest stain challenge! This would be great, I have three sons with lots of dirty clothes!! Any type of grease is a wicked stain for me.Food or oil or whatever.They are all tough. My toughest stain challenge has to be baking grease and red wine. I can never get that out! I find mud to be my toughest stain to deal with. Ugh. My child. A white shirt. Pizza. Need I say more? I have a toddler boy who always seems to have ground in grass, dirt or some kind of food to clean. We use Tise on a rgular basis. My husband was a backyard mechanic. THAT was tough! Not just his cloths covered in grease, but even towels and SHEETS! That’s when I switched to Tide and it worked! I still use it! I think grass stains are the worst! My 9-year old is always jumping and playing around outside and comes home with “green knees”. I <3 the lid, it is brilliant. Never have to hunt down anothing. Takes strains out no problem! Sorry got all excited forgot to mention my tougest stain challenge ! I think that has to be blood. My recently departed Dad was a diabetic and was also taing shots for blood thinners. With so many pokes, blood testing, shots etc. there was always blood being where it should not be. Tide ALWAAYS got the stains out! My hardest stain to get out has to be baby poop ? I have a 10 month old little boy and he makes the worst stains!! Also my 3 year old little girl is pretty awesome at making stain to, blueberries, grass, tomatoe sauce, and just yesterday she decided to drink my tea and spilled it all over her white shirt ? ( the tea was cold ). So we are an everyday stain making family! I have to laugh every time I think of this! The toughest stain ever! The very first time I introduced my 1 1/2 year old grandson to the ice cream truck, I let him pick what ever he wanted. Not even thinking, he naturally chose the bright blue and neon pink ice cream on a stick. He couldn’t get to it fast enough so I went ahead and opened it and let him eat it on our way back to the house and the high chair. By the time I got him there it was already dripping all over, I set him in his chair and let him enjoy. Well, needless to say, that dye in the ice cream stained not only his face for a few days but I had to work so hard with many washes and scrubs to get most of it out of his clothes. But, he enjoyed his ice cream! For me it’s mud and grass! My daughter is always outside and getting into everything. Her clothes are always filthy! My toughest stain challenge is grass and oil stains. Just have to do extra work to take them off. My challenge is stains, I’m terrible when it comes to spills and spots. I love Tide. I love the smell and have been using it for about 40 years now. It is definately my go too laundry cleaner. My toughest stain challenge is grease, I always find it so hard to get out. My biggest stain challenge is tomato sauce. I wish I could say it’s mostly the kids who get it on them, but it’s usually me that ends up with sauce on their shirt! Grass stains are the toughest stains to get out! i need to get out oil stains, will Tide work? Grease! Olive oil, peanut oil, grape seed oil, sesame oil. It always splashes on me during cooking. I haven’t had any stain challenges really- we don’t like messy things (dirt…ick). I had no idea there was s national laundry day though I will mark the date on the calendar so I can observe it properly next year. Yellow mustard seems to be my nemesis…It’s the worst. I could use this for sure with having my son and grandson making the messes that they make. My toughest stain challenge is definitely my hubby’s work clothes! He’s a mechanic & his work clothes are often covered in oil & grease stains, such a challenge! We love tide for this! My toughest stain challenge is always cooking related, I really need to use and apron! My toughest stain challenge is getting sweat or blood stains out. I have a family that plays a lot of sports it is an ongoing problem. After a day of my kids playing outside they are usually very dirty. Grass stains are always very difficult to get out. Toughest stain challenge was probably when my daughter spilled dark purple grape juice on her pink sheets & then didn’t tell me about it for a day! I pre-treated & washed several times before I bleached them white to get rid of the residual stains. She was so upset her sheets were no longer pink! I think my toughest stains are always grease stains. I get them all the time and I can’t get rid of them! I have always found grease and sweat stains to be the worst. 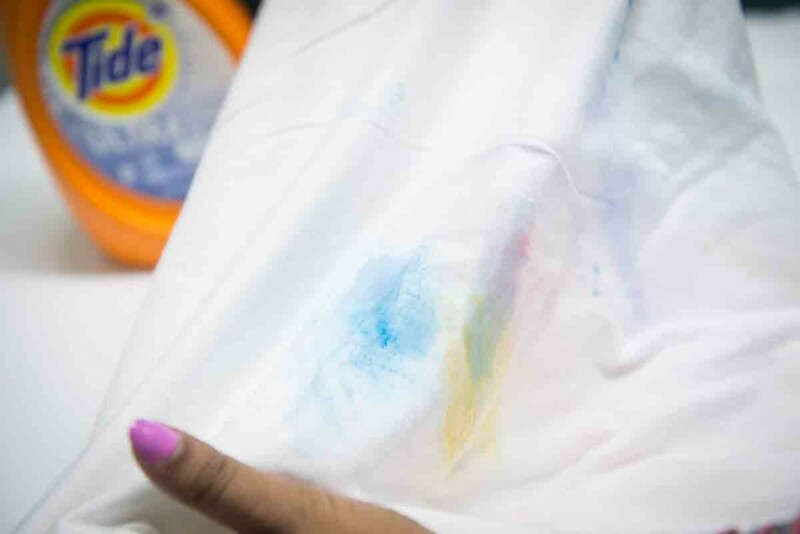 I mean stains that have been there for months, because silly me tried a different brand and even the boosters, the stains were still there.So I went back to trusty Tide Pods and within a couple of washes and line drying, all my stains were gone for good. The white tshirts that had sweat stains all around the collar were even clean. Tide Rocks. My daughter has lost at least 4 shirts to tomato soup stains. I’d love to try the new tide. I have three tough stain challenges, blood stains, oil stains and grass stains; all three equally hard to remove. Oil stains are the worst. Tide helps! Grease and grass stains are the toughest I have to deal with. Pickled Beets are a favorite in our home and Beet juice is my toughest stain challenge. For some reason hubby’s homemade red wine seems to be the most difficult stain to get out. Everyday Stains. I seem to wear life on my clothes, thats why I use TIDE!!! Red wine, beet juice and spaghetti sauce are challenging but we always use Tide!! I have 5 boys, so my toughest stains generally include a mix of mud/grass and blood among various food items like chocolate ice cream or bright blue slurpee! It may be good luck to have a little bird drop his prize on your new white & blue striped shirt, but it was better luck that Tide took the stain out! My toughest stain that I can never get out is red wine and baking grease. I cook bacon a lot at the trailer and it splashes me. For the life of me, cannot get the stain out. My toughest stain challenge is getting mud off of my daughters white uniform shirts, It just fades into a brown looking spot, no matter what I do! Very Frustrating! I did not know there was a laundry day! But that’s awesome that it got the stains out! I would have to say tomato sauce for sure:) thanks for the chance! Not sure if I am too late or not, but my toughest stain was coffee.